Hi all! 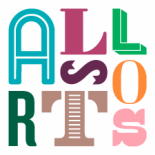 I’m the newest, shiny member of the Author Allsorts. Thank you very much to Kate Ormand for inviting me to be a part of this amazing group of authors. Daily routines . . . some authors swear by them. Get up at 7! Grab that coffee! Be at your desk at 8! Hit the keyboard promptly at 9! Write until lunch! Read all afternoon! Write all evening after dinner! For some authors, it’s a necessary part of their lives. They need this kind of routine to be able to squeeze in writing around kids, other jobs—everything else. Some writers like routine because it’s how they function; something that suits their nature. They are ordered. They are productive. They make lists. These authors will most likely be plotters. Other authors just kind of wing it. Writing in fits and bursts throughout the day. Sometimes in bed. Sometimes at their desks. Sometimes in the kitchen or in the garden or—anywhere at all. Some writers need noise, like the chaos of a cafe or a noisy shopping centre or the tube home from work. Some authors fill the spaces between writing with knitting, or finger paining or playing the guitar or designing sock monkeys! These are the pantsers. Some authors sit and daydream for hours (this is not wasted time, whatever your year 6 teacher told you!). Some write down scenes very logically and calmly. I happen to be a bit of both. My writing life is a combination of strict goals, self-imposed deadlines, routines that seem strange to others but work for me, and . . . the other stuff. The days of finger painting, hiding in my writing cave while I read and write not a word, play my guitar/keyboard and compose ridiculous songs or film ridiculous youtube videos. My writing life is a beautiful kind of chaos (as is my writing space most days). And that works. Next to my list of goals and timed deadlines, my calendar with stickers and post-its of reminders, I have doodles on gum-wrappers, bits of clay and a set of acrylic paints that are very used and worn. I have a bowler hat called Watson, and he helps tremendously while writing, and that’s okay too. 1. The writing comes. If it doesn’t, go and paint. Or read. Or watch movies. Or walk. Or sing. Or dance. The writing comes. 2. Coffee helps. So does tea. These will always be in plentiful supply. 3. Deadlines are guidelines, but I will always do everything I can to meet them, self-imposed or not. 4. Reading is vital, and springs many creative thoughts. 5. Time off, from social media and from “life”, is a necessity. 6. There will always be something pulling attention away. This is a routine in and of itself. So write. Write now. 7. Bedtimes are mythical creatures, elusive and skittish. 8. What works today may not work tomorrow. Routines can shift and change. What works for me may not work for you. Writing is a combination of art, heart, soul and engineering. If you need a sheet strung up for your writing cave, go forth and string! If you need to build a writing fort out of boxes, so, build! There is no right or wrong. Routine, or not, you’ll be fine. Dawn Kurtagich is a writer of creepy, spooky and psychologically sinister YA fiction, where girls may descend into madness, boys may see monsters in men, and grown-ups may have something to hide. Her debut YA novel, The Dead House, is forthcoming from Orion/Indigo (UK) and Little, Brown Books for Young Readers (US) in 2015, and a second as-yet untitled novel in 2016. I am the author of The Dead House, The Creeper Man / And The Trees Crept In, and Naida. I vlog over at WritaholicDK on youtube, and I really love paint. You are all my happy bananas. This entry was posted on January 28, 2015 by Dawn Kurtagich.